What is love? We ask some of the presenters from Festival of Love. Do check out what they are offering for Fest of Love and see you at the Fest of Love! 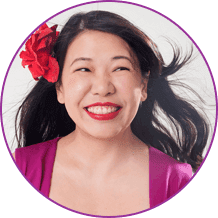 Felicia Tan, founder of Art of Life, speaker, and blogger shares what love means to her with Festival of Love http://www.festoflove.com. Helen Clare Rozario, mindfulness & meditation teacher of Nirvana Mind shares what is love to her with Festival of Love http://www.festoflove.com. Isabelle Mokross, Creative Director of Shakti Fusion Dances, shares what love means to her with Festival of Love http://www.festoflove.com. Luke Elijah Lim is offering three workshops as part of Festival of Love (Feb 14 – 24) and two talks at Festival of Love conference (Feb 16 to 17). He is an amazing and loving healer and person. Johnson Chong, Self-Mastery Evolutionist share what is love with Festival of Love. You Min Yap, certified nature and forest therapy guide and a Daring to Rest facilitator, tells Festival of Love what love means to her http://www.festoflove.com. Lionel Koh, Director, Mind Clearer, Facilitator, Coach at Maven Communications share what is love to me with Festival of Love http://www.festoflove.com. Gail Wong, certified coach and purpose-driven entrepreneur shares what love is to you to Festival of Love http://www.festoflove.com. Uninspired about Love and Life?